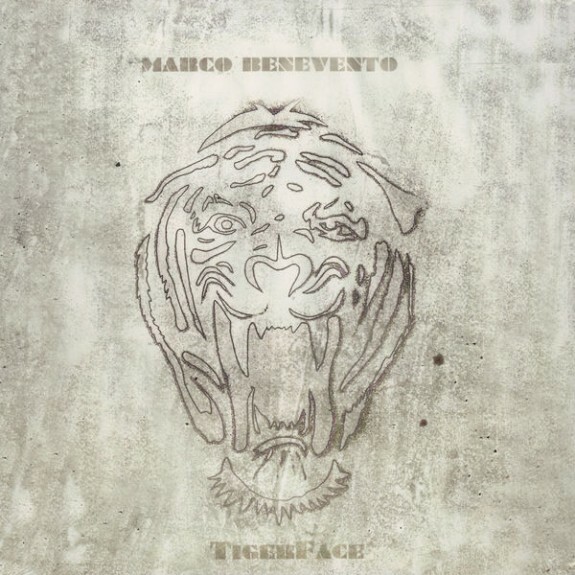 Marco Benevento's new album TigerFace begins with a keyboard line that reminds me of the sounds of a casino in full swing. "Limbs of a Pine" features vocals from Rubblebucket Orchestra's Kalmia Traver as does the following song, "This is How it Goes." Kalmia is a very unique musician, and her eccentricity shines through on "Limbs of a Pine." Marco's digital slot machine sound is eventually accompanied by some dancey drums, and some sound clips playing before Kalmia comes in with her vocals. I find the lyrics to this song are lacking... But somehow the song does become a bit more palatable as you listen to it more often. At the first instrumental interlude, some nice bass work brings me back on board. When Kalmia returns to her vocals they are a bit more Talking Heads-like. The lyrics get repetitive, but the song is not bad, and it is definitely not typical. "This is How it Goes" sounds a bit more like Kalmia leading a children's choir in a nice singalong. The truth is that it may just be Kalmia singing using overdubbing and vocal effects. The bizarre style that is so alluring gets dialed back a bit on this piece, but there is still a hint of her personality in the song. If you have ever seen Kalmia perform, you will understand why Marco enlisted her help. She is extremely talented and she has no competition. There simply isn't anyone who does what she does. Beginning with the next song, "Fireworks," Benevento returns to his instrumental formula and begins a peculiar cadence with his piano. The drums that accompany the beginning of the song remind me of Casio keyboard effects from the 80's, but the real drums come in with percussion before long. Ultimately, a hodgepodge rhythm emerges and Benevento seems to take a stab at a classical melody that resembles something I've heard before, but can't quite place. The interesting synthesizer effects are subtly laid in and lie in stark contrast to the classical riff. Ultimately, the organ makes a brief appearance to aid in the song's resolution. The descending scale sends the song to a quiet and appropriate end. "Going West" is organ heavy at the beginning and has overlapping piano to lead to the first break. Some slow rock drums come in and some fuzzy feedback starts to show through. The guitar seems to be the source, but the organ and drums leave the static indistinguishable. A little past halfway through the song, the bass drum gets loud to the point of distortion and the song veers towards an industrial clanging before a piano line emerges from underneath. The piano reminds me of the end of Phish's "Squirming Coil." It's clear, crisp beauty is softer, yet wins out against the distortion. "Eagle Rock" follows and begins a bit more like I expect from Marco. The piano melody is well written, interesting, and accompanied by some quick jazzy drumming and some strings. The orchestral sound is interesting for the album, but I wonder how it will translate when played live. This song also reminds me that there is some unique percussion going on throughout the album. Surprisingly, there are some vocals in this song, but they don't enter until later in the track. When they do, they are once again choral in nature, and it sounds like all the musicians involved just sang the words together. "Soma" has a dark feel to it. It seems like it is sulky and sullen. A minute or so in, a Zappa-ish melody sneaks up and changes the feel a touch. The song still has an overall minor feeling to it, but that soon yields to a hectic sound which drew my mind to pandemonium on the street of the snake-charmers. I'm not sure if that even exists, but that is where my mind went. "Do What She Told You" is my favorite song on this album so far. It has a Ray Charles feel with a touch of modern effects. I believe it is the bass that is jacked up on distortion and creates a bit of an edge to the otherwise very traditional sounding soul tune. This song makes me want to have a stiff drink and enjoy some "me" time. It is smooth, sophisticated and fun. It's Marco in his element and I like it a lot. "Escape Horse" opens with drums. The bass that comes in almost makes you prepare for a metal tune, but then Marco's keys come in to explain. This is not metal, it is more jazz than metal, but the metal hints are found throughout. There is a near metal-like solo by what I can only assume was a trumpet played through heavy effects. The hook to this tune is memorable and pretty fun to hear. At the end Marco shows his stuff and plays a piano solo that takes the song to its close. "Three Trees" is a mellow tune out of the gate. The simple piano lines seem to alternate between brilliant and unnecessary, but after each awkward progression, he brings you back with a great melody. Much like Tchaikovsky, Marco has understood the power of tension and release all along. That is a big part of why he is so successful as a musician. As a fan, we want our heroes to take us on a journey, and tension and release is a way Marco and thousands of other musicians have found to influence our enjoyment of their craft. The album rounds out with an instrumental take on "This is How it Goes" from earlier in the album. I think I prefer this version, but it helps to demonstrate to me what Kalmia did with the vocals, and in a way makes me like her version more as well. Benevento has been a prominent jazz pianist for several years with multiple musical projects that all demonstrate Marco's passion for contemporary jazz. In this particular Marco outing, he says he intended to throw all judgments and preconceptions out the window and just create a piece with no reservations, or limits. That may be the reason that I find this album somewhat bizarre and out of character. Regardless, that fearless and bold stance towards artistic expression likely influenced the album title. Marco is going big cat on us, and he's ready to make more and more music inside and outside of the box... Or cage as it may be.